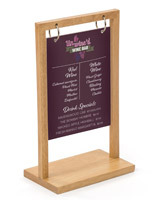 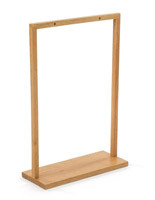 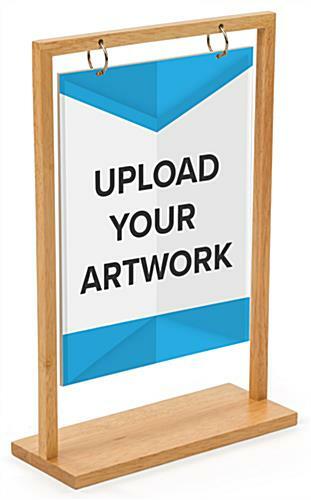 This 8.5” x 11” classic wooden table tent is the perfect menu solution for any restaurant or bar. 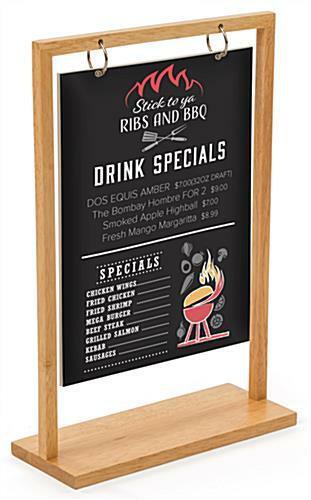 Double-sided custom printing allows you to display personalized brand messages in full color on each side of the foam board. 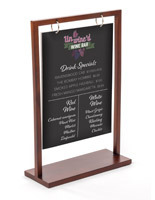 The maple wooden table tent with an elegant design works in a variety of settings from restaurants, bars, boutiques, and retail stores. 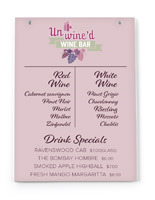 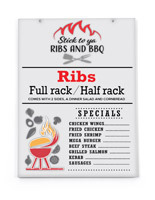 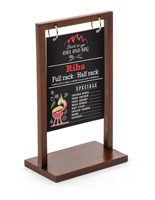 Custom printing allows you to share menu specials or to announce upcoming sales. 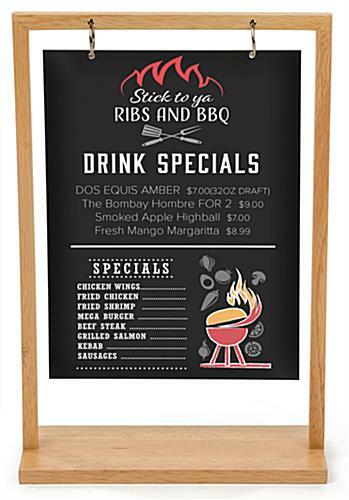 Replacement graphics are available allowing you to update signage as messaging needs change. 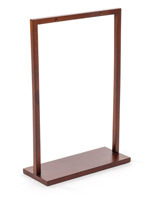 This wooden table tent with maple finish is sure to complement your existing décor!